Part of our Baby Collection! 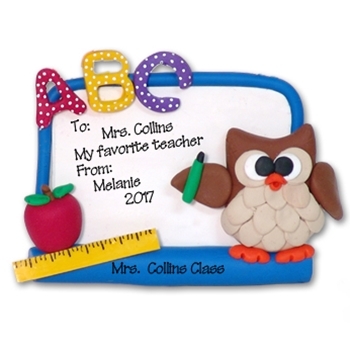 This darling little owl ornament is perfect for any teacher or student. He is so wise with his red "Horn Rimmed" glasses.